The velociraptor lived during the Cretaceous period, some 75-70 million years ago. The discovery of this species was in Mongolia. A velociraptor had a long tail, walked on two feet and each hind foot had a large claw. The reptiles were carnivorous, and it is thought that the sickle-shaped claw was used to incapacitate prey. Velociraptors gained popularity after the Jurassic movies, but the virtual versions were significantly larger than the actual species, according to their fossils. 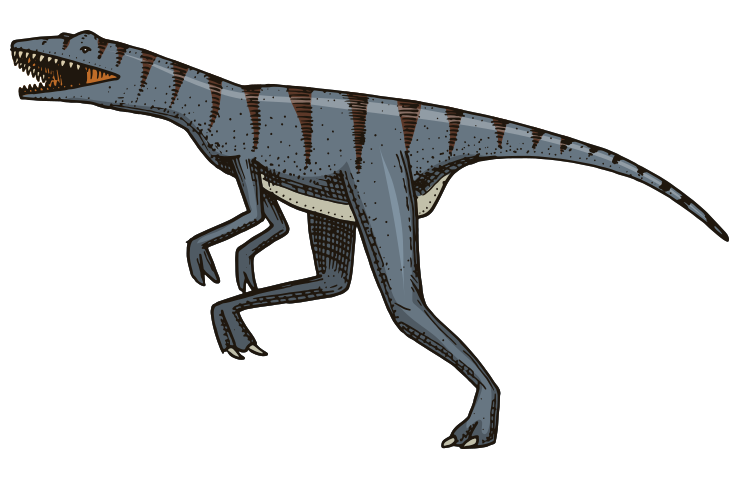 An adult raptor measured about 0.5 m in height and 2.07 m in length.